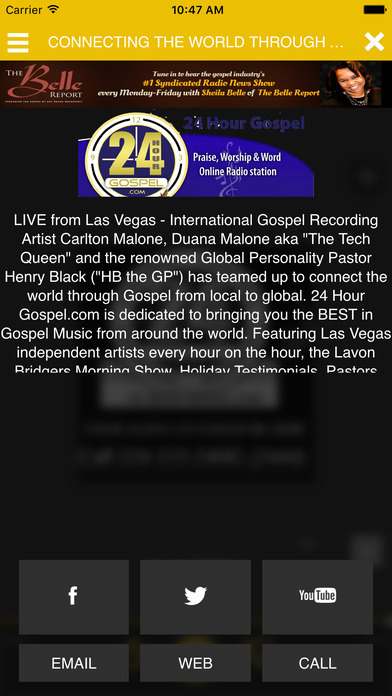 LIVE from Las Vegas - International Gospel Recording Artist Carlton Malone, Duana R Malone aka "The Tech Queen" and the renowned Global Personality Pastor Henry Black ("HB the GP") has teamed up to connect the world through Gospel from local to global. 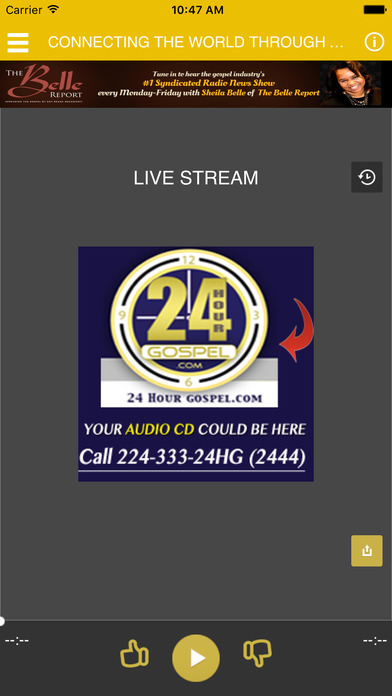 24 Hour Gospel.com is dedicated to bringing you the BEST in Gospel Music from around the world. Featuring Las Vegas independent gospel recording artists every hour on the hour, the Lavon Bridgers Morning Show, Holiday Testimonials, Pastors from Las Vegas and around the world; 24 Hour Gospel.com, you will be introduced to local independent Gospel recording artists from Las Vegas and around the world. The programming is diverse to include a variety of music genres, talk shows, news, spoken Word, Preaching messages, and more! We continue to increase our creativity to ensure that you are receiving the BEST of what we have to offer.